Bridging the world of photography and printmaking, the cyanotype is one of the earliest photographic methods. Join us on a tour of GRAM’s collection to discuss the relationship between photography and print. 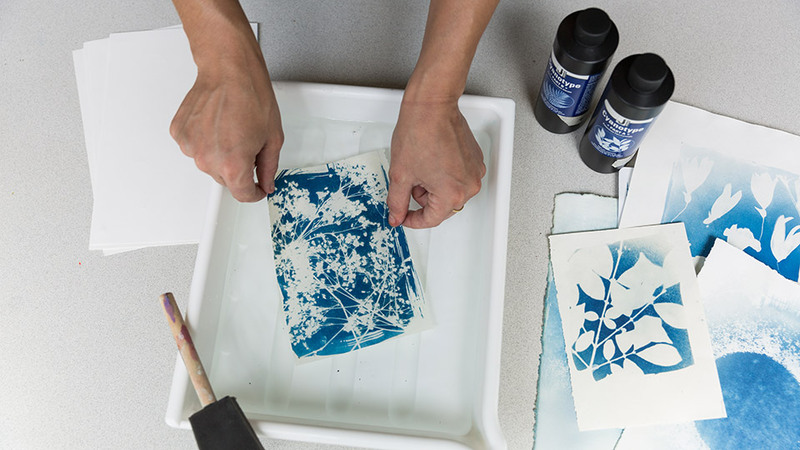 Then, you will explore the cyanotype process from start to finish. Beginning with how to mix and coat material with emulsion, you will finish by exposing various objects and materials to create a one-of-a-kind set of prints in the dark room.